This month’s crusade, #54, from Michelle Ward, for the GPP Street team is Mind Games. We were to come up with a word or phrase and then mix a colour that matched. I didn’t do the last 2 crusades so it was time to get started again. 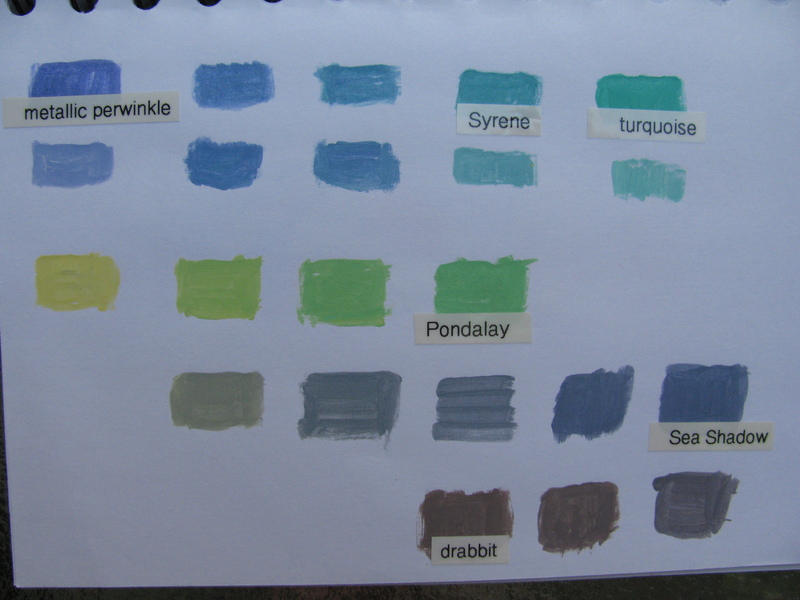 We were off on the boat with my very limited colour palette, what fun to contemplate. I was reading a mystery, The Anodyne Necklace by Martha Grimes- she describes a twin set (pullover and cardigan) the colour of drabbit. Not a flattering description by any means but fascinating to think what it might be like and certainly – some people might think rather attractive on the right person. 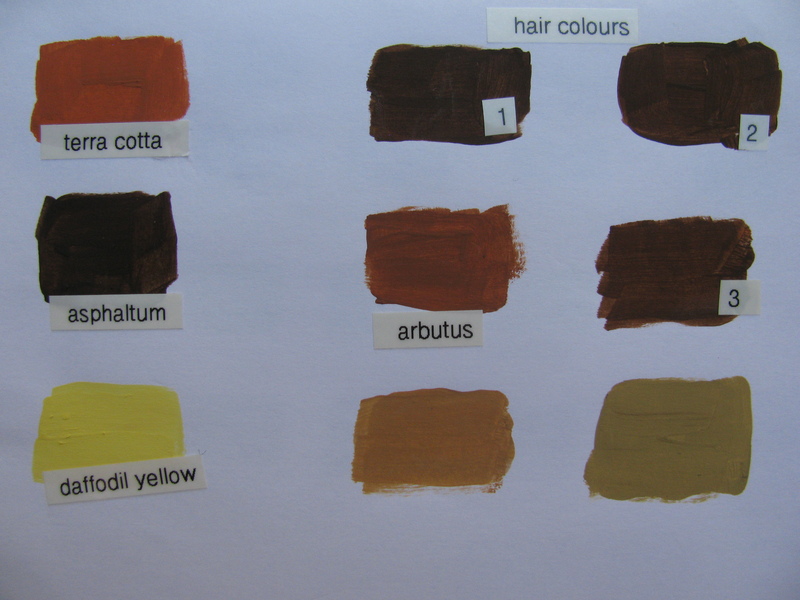 I think several faded, dull mixtures might be just right. I was working on a course by Suzi Blu and had forgotten some pencil crayons for hair, so set about with my acrylics to come up with something for my little dolls. I also saw a boat named Syrene and so I gave that a try as well. I saw a few more boat names that might be good to try Avalon Sunset, Pondalay, Georgia Dawn and Sea Shadow. Thanks, Michelle, for posting this challenge. Rosemary – I LOVE that you worked with what you had and that you were influenced by your reading adn surroundings to come up with names to define with color. Drabbit – what a great word. Love the match-up for Syrene. Avalon Sunset is a wonderful phrase – Avalon is my daughter’s middle name (for the Roxy Music song and album *grin*). Love seeing the scales of your mixes. Always interesting. Glad to have you back with us! Thanks for sharing with the team! These are really great, I love them all but I think my favorite is Pondalay. Very creative! Thanks for the inspiration! I’m thinking I would love to have Syrene-colored hair. You’ve had such fun with words and colors. Drabbit…you’ve managed to capture the spirit. I remember reading that book and wondering what the word looked like to Grimes. How cool that you worked with boat names! Most of us used words/phrases that have a connotation. Some of yours you really had to work with a feeling because the word doesn’t have an apparent meaning, like Pondalay of Arbutus. Great use of inspiration!